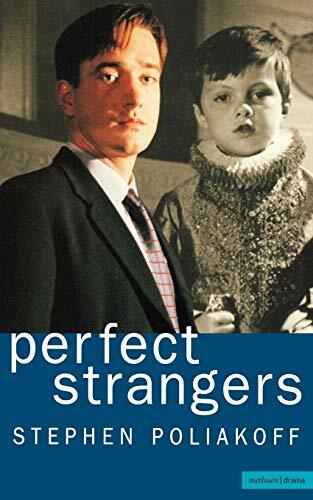 The script of the television screenplay, "Natural Strangers" tells the story of a family reunion in a grand London hotel, where Raymond, his wife Esther and his son Daniel, are slowly drawn into their ancestor's family tree. Stephen, appointed "pedigree hunter" and archivist, unravels the past. The script of BBC's major 3-part drama for Spring 2001, starring Michael Gambon, Timothy Spall, Lyndsey Duncan and Toby Stephens If you take any family and get them together, and get them to stay up long enough, the stories will come tumbling out ...there are at least three great stories in any family...At an elaborately organised reunion, held in a grand London hotel, Raymond, his wife Esther and their son Daniel are slowly drawn into their ancestors' family tree. Meeting distant - and not so distant - relatives for the first time they begin to establish their positions within this eccentric and eclectic family. Helping them on their way, Stephen, the appointed 'pedigree-hunter' and archivist, unravels their entwined stories with the aid of his extraordinary collection of family photographs. In an attempt to pieces together and make sense of their forgotten or obscured personal histories, the past impacts on the present and they come face to face with the darkest of family secrets.